According to indeed, content writers in Atlanta can expect to make an average of $23 an hour. This number is 14% above the national average for similar positions, which implies Atlanta is a healthy economy for writers. In addition, according to Glass Door, the average salary for a content writer is around $51,446, a number estimated to be 6% above the national average. Though these numbers might differ as they are based on averages of available jobs, these two numbers give you a good idea what you might expect to make as a content writer within the city of Atlanta. There are currently 180 jobs listed on Glass Door that pertain to content writing with Atlanta. These jobs include openings for technical writers, content managers, content writers for software companies, scientific writers, proposal writers, content strategists, creative writer/producers, freelance writer producers, marketing specialists and more. This means you can most certainly find a niche that fits your own scope of amazing abilities. Atlanta is known for its acceptance of all things diverse and aberrant, the fact that beautiful artistic murals (graffiti) dons bare spaces on buildings and concrete all throughout the town, their welcoming attitude to out-of-towners and being a forward-thinking exception to the state of Georgia. Though located in the southern state, the city could be its own state within a state with how differently many who reside within its borders. 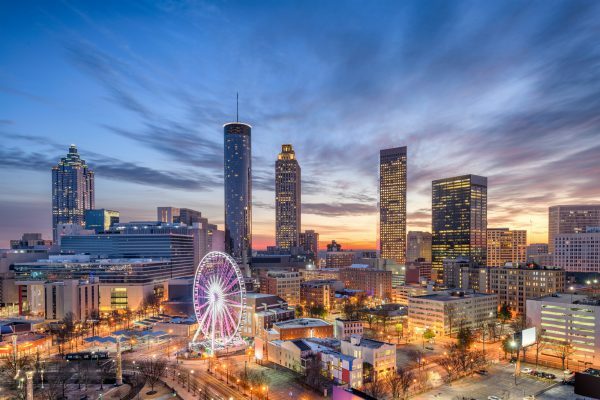 With schools like Emory University, Georgia Institute of Technology (Georgia Tec), Morehouse College and The Art Institute of Atlanta, all calling the city home, there is no shortage of educational opportunities. However, prospects for writers to expand their horizons don’t only occur in the perimeter of a college as there are also conferences happening throughout the year that are ideal ways to further your writing career. WriteBites: Saturday, February 23, 2019: This hour-long, free writing session is hosted by the Lignuistique Mystique Services Co. (TLMA). The goal of the class is to help you hone your craft as well as to equip you with the skills and knowledge necessary to share your gift with the world. TLMA’s belief is everyone has a story worthy of sharing, and they want to help those in the metro Atlanta area learn how to do just that. Atlanta Writers Conference: May 3-4, 2019: Located in the Westin Atlanta Airport Hotel, you can sign up for early registration for this conference by early December. This conference, hosted by the Atlanta Writers Club, will teach you more about the publishing industry as a whole, and help you enhance your writing ability. You will learn practical skills such as what to and not to do when writing a query letter, synopsis and manuscript. You can even discuss your current writing projects with agents and editors to learn if interest exists for such a topic within the current market. The conference was also voted “the best writing conference in Georgia” by the Writer Magazine readers. Converge 2019: February 19-22: This digital marketing conference hosted by Converge Consulting is ideal if your writing career involves marketing. The three-day event will bring together recruiters, digital strategists, CMOs, deans, enrollment leaders and more. You can even come away with a professional headshot from this conference. The Cathedral of St. Philip Labyrinth: Visualize yourself finding your way through that novel or manuscript in the same way you are conquering the labyrinth. The Carter Presidential Center Gardens: Former President Jimmy Carter is a native Georgian, and this garden dedicated to him is a beautiful piece of heaven located within the big city. Enjoy this 35-acre park, complete with cherry orchard, koi pond, rose garden and even waterfalls. Big Trees Forest Preserve: This immensely tranquil forest includes a 1.5-mile, soft-mulch walking trail. On it, perhaps you can find renewed inspiration. Chattahoochee Coffee Company: Boasting two locations within the city, one at Walton Westside and one at Riverside, this quaint coffee house has free WiFi and plenty of places to lounge and work. Octane Atlanta Tech Village: This bustling coffee bar, located in the heart of Atlanta’s tech village, is the ideal place to knock of out some of those orders you need to complete. Read Shop: Why not be surrounded by books while creating inspiring composition? Although it’s a small shop, seating only around 10, it is a great establishment to hang out and work. Publish or Perish: Write-In March 16: Hosted by Transformative Research & Evaluation, this event basically gives you the nudge you need to finish your book, manuscript, dissertation or thesis through peer motivation. At Publish or Perish, you will team up with other writers struggling to find the time or inspiration to write. This group meets monthly and gives you a great opportunity to meet and connect with other writers in and around the Atlanta area. Atlanta Writes: This group welcomes all skill levels, from beginners to veterans. It’s a free group to join, and they meet every other Saturday morning, in addition to every other Thursday evening. Shut Up & Write! : This is more than a group, more than a good idea, and more than movement, it’s a method that delivers. This international organization teams up thousands of writers and local groups meet up to write together in local cafes. Shut Up & Write! has weekly events. SCOUT: Managing Creative Director: SCOUT is a marketing firm in Atlanta, Georgia, with a current opting for Copywriter to join their team. SCOUT’s mantra “Be Brave,” encourages out-of-the box thinkers to come up with new ways to build clients’ brands. LTX Solutions: Marketing Internship: LTX is looking for an energetic intern to join their marketing team in Atlanta. KWSM: The digital marketing team at KWSM is looking for a journalist to join their team of professionals in a copywriting capacity. They are looking for an engaging storyteller, with exceptional writing skills. EBONY: Join the hardworking editorial team for EBONY.com or JETMag.com. You can work on a variety of platforms and brands to create digital content. Scripted: This content platform allows you to connect with agencies and businesses seeking highly skilled talent, no matter where in the world you reside. You can help with content creation, marketing and more. WriterAccess: Become part of a professional team of writers some 15,000 strong. The 25,000+ customers means there is work to go around and therefore the platform is always looking for new talent. Atlanta is a city of immense growth and upward mobility. It makes the ideal backdrop for your climb to the top of your career field. This most populous city in Georgia enjoys a rich economic and cultural foundation that will nurture and grow your artistic side while giving you the opportunities to apply your skill in a professional setting.